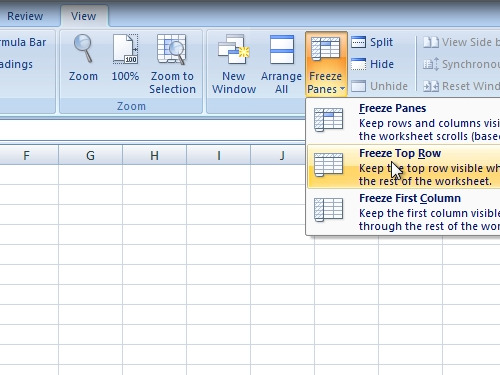 In this video tutorial we will show you how to lock excel header row. In order to lock excel header row, open the Microsoft Excel document. Go to “view” tab. Click on “Freeze Panes” and select “Freeze Top Row”. Now when you scroll your spreadsheet a header row will always be visible at the top.